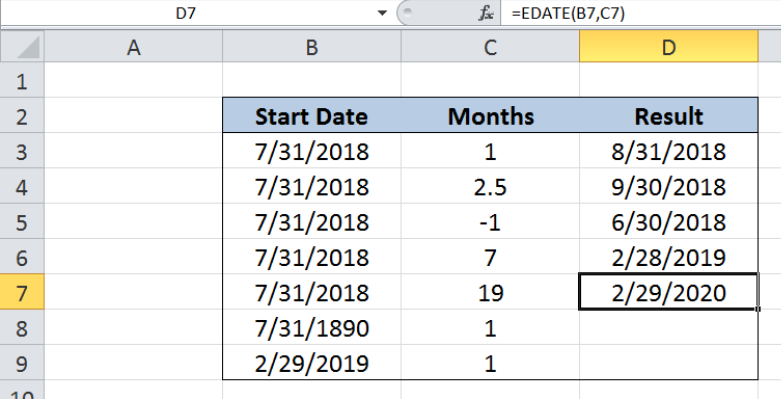 Subtracting or adding months to any date can be done in Excel by using the EDATE function. This function is especially useful when determining maturity or due dates. This tutorial will assist all levels of Excel users in the usage and syntax of EDATE function. 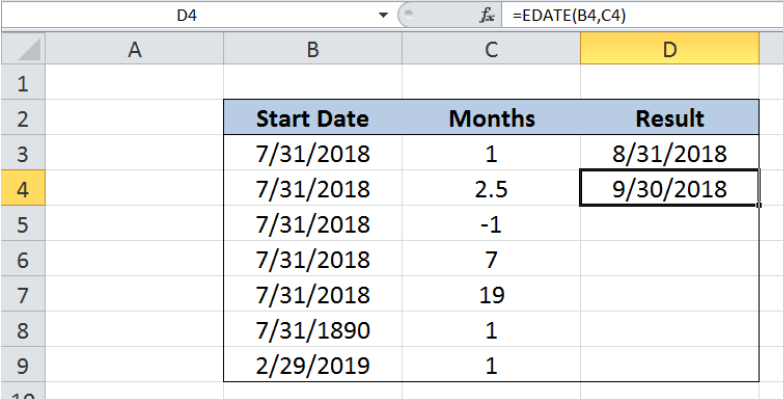 If start_date is not a valid date, EDATE returns the #VALUE! error value. 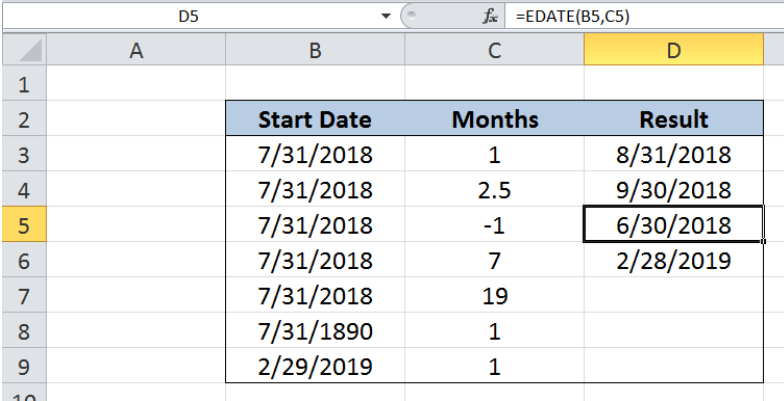 Our table contains three columns: Start Date (column B), Months (column C) and Result (column D). 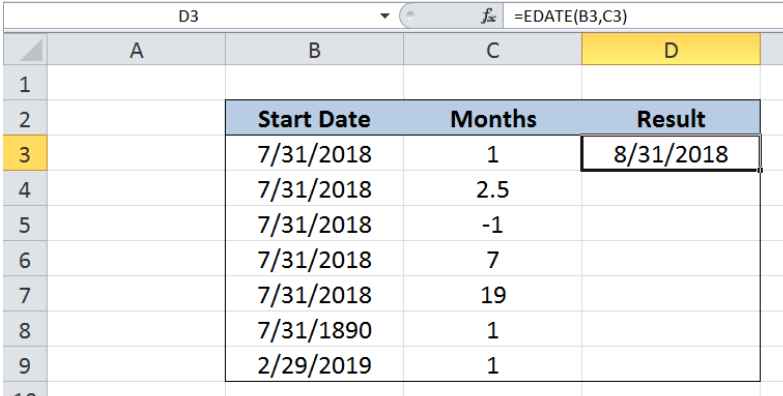 We want to determine the future or past date corresponding to the start date in column B and the number of months in column C. The results will be recorded in column D.
EDATE easily returns the date “8/31/2018” in cell D3, which is one month after July 31, 2018. However, for the next example, the number of months is 2.5, which is not an integer. EDATE truncates this value and interprets the number of months as 2. As a result, the date in cell D4 is “9/30/2018”, which is two months from our start date. Note also that our function returns valid dates, and adjusts the month, day and year accordingly. The last day of September is 30, not 31. Hence the result “9/30/2018”. The same principle is shown in the next two examples where the results in D5 and D6 are “6/30/2018” and “2/28/2019”, respectively. The last day of June is 30 while the last day of February 2019 is 28, not 31. The EDATE function also considers leap years, as shown in the next example. The year 2020 is a leap year and adds one more day to the month of February, making its last day “29” instead of “28”. The EDATE function returns the error #VALUE! when the start date is invalid. 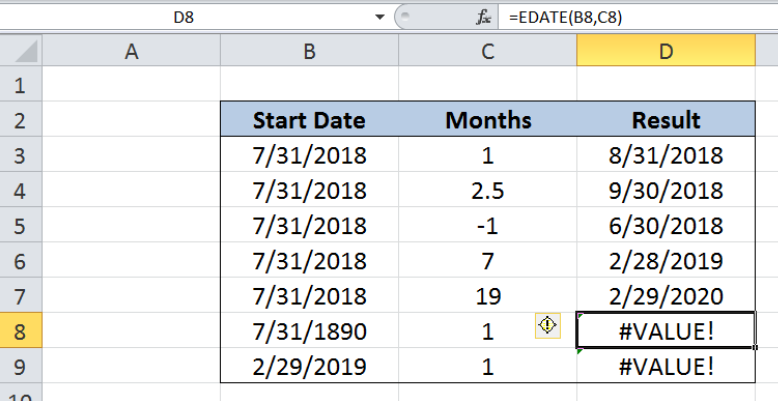 In cell B8, the date “7/31/1890” is not valid because the function only allows dates between January 1, 1900 and December 31, 9999. Cell B9 is also invalid because “2/29/2019” does not exist. The last day of the month of February in 2019 is 28, not 29. I need a long if statement essentially. 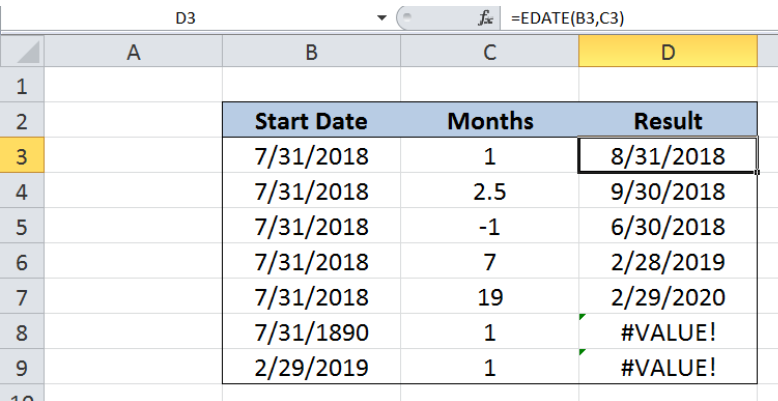 If A1 says SPC, I want to add b2 to b3, AND b4 to b5 (both are dates plus months so I assume edate function), Then I want the greatest number to be displayed. 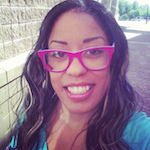 But i need that formula for various text statements in Column A. Can this be done in one formula? 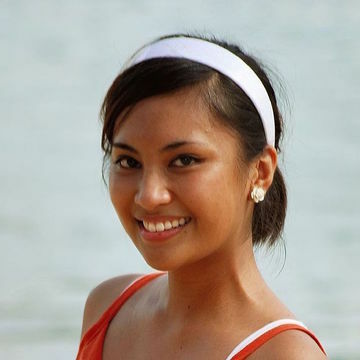 hey, I am trying to integrate the EDATE function with an IF statement. On an income sheet, I want to be able to automatically populate the estimated figures for a job, using the variables Net Fee, Current Date, Comm Start Date and Contract Length. So for each month, currently there's a formula that says =IF(MONTH(Current Date)=MONTH(EDATE(Comm Start Date, Contract Length)), Net Fee, 0) But this doesn't then continue displaying the Net Fee for the rest of months. What I would like it to do is: =IF(MONTH(Current Date)=MONTH(EDATE(Comm Start Date, [Any number between 0 and Contract Length])), Net Fee, 0) How is this possible?